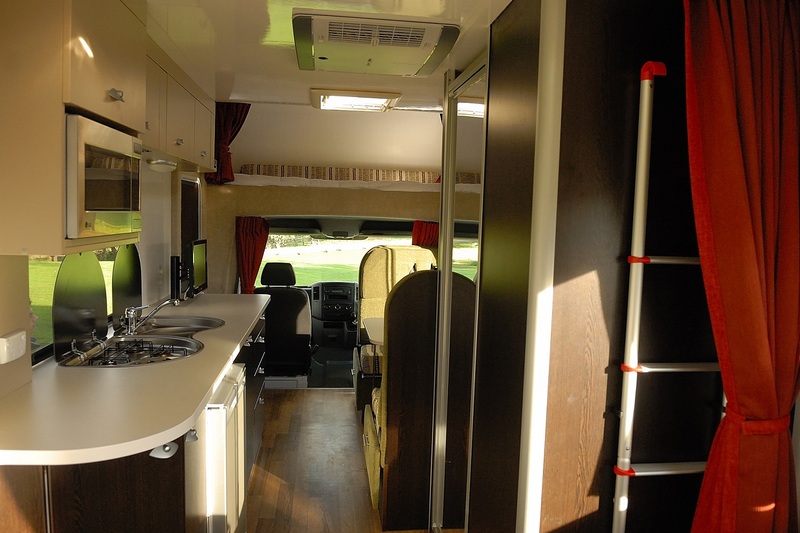 The VW Discovery is the ultimate motorhome for family or group travel. 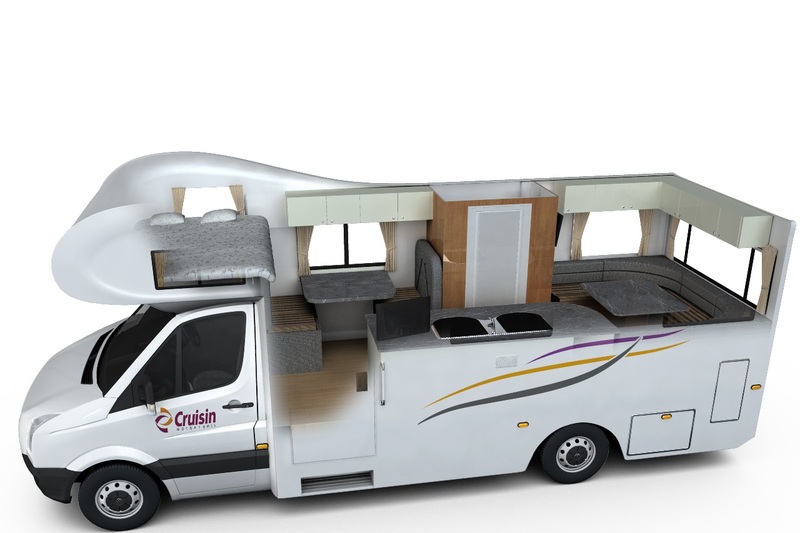 With everything a traveller could ever need and more, this 6 berth motorhome will not disappoint. 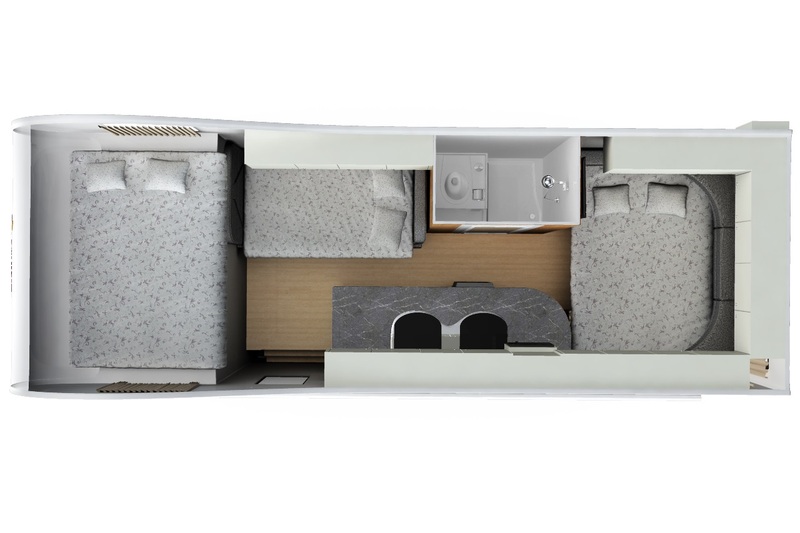 With 2 seats in the driver’s cabin and 4 in the main, the Discovery provides room to move and more. 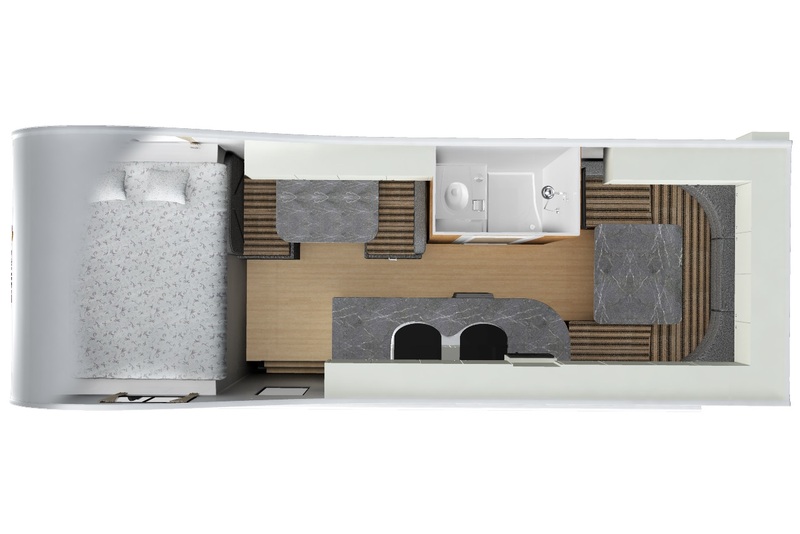 The large interior has an open walk-through area between the driver’s area and main cabin and accommodates a large group of family or friends. 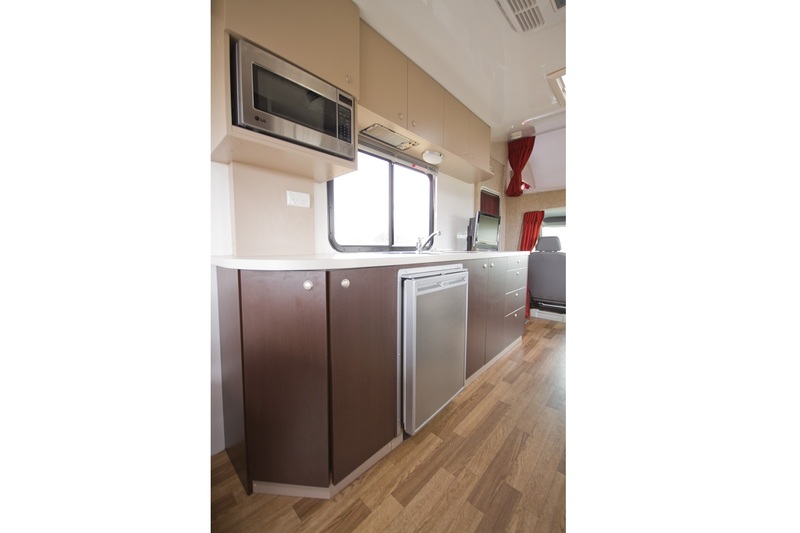 The vast amenities offered on this deluxe vehicle ensure that it is a modern home away from home. 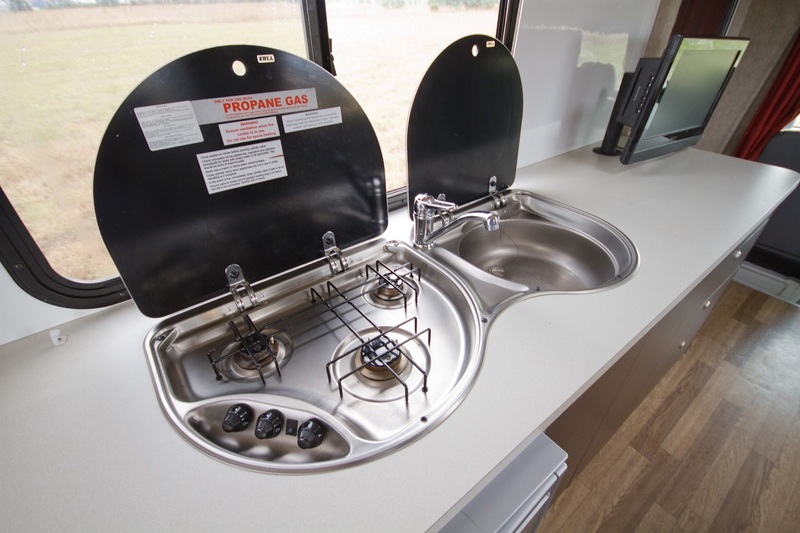 The spacious kitchen is a home entertainer’s dream with a 110 litre fridge/freezer, microwave, toaster, 3-burner gas stove, kettle, saucepans, frying pans and cutlery on hand. 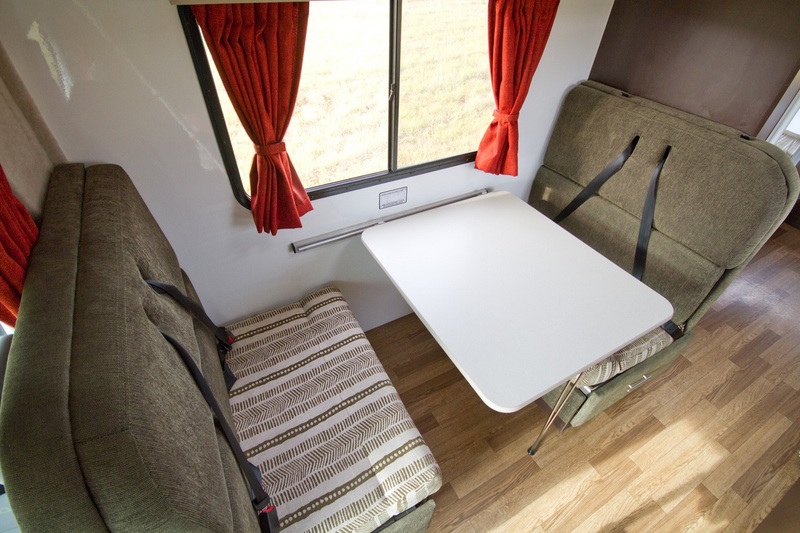 You are invited to eat at the generous dining table which converts into a comfortable double bed at night. 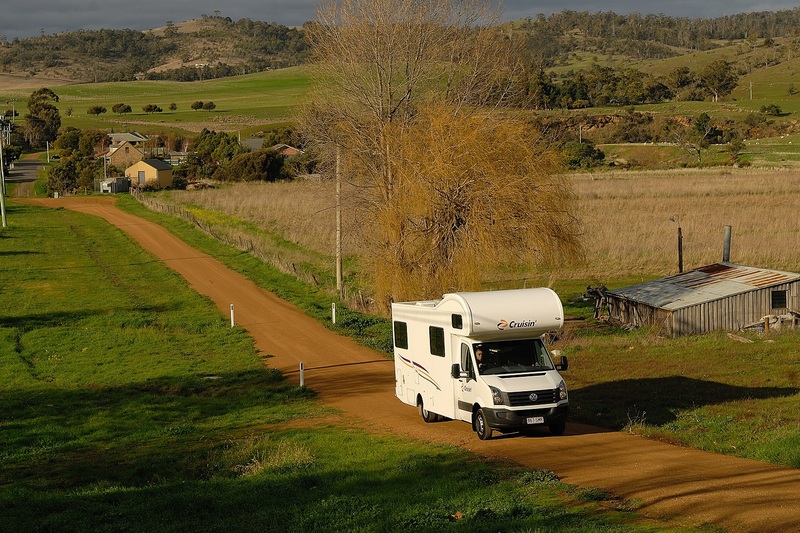 Discovery campervans are a smooth and comfortable drive with power steering and fantastic fuel capacity. 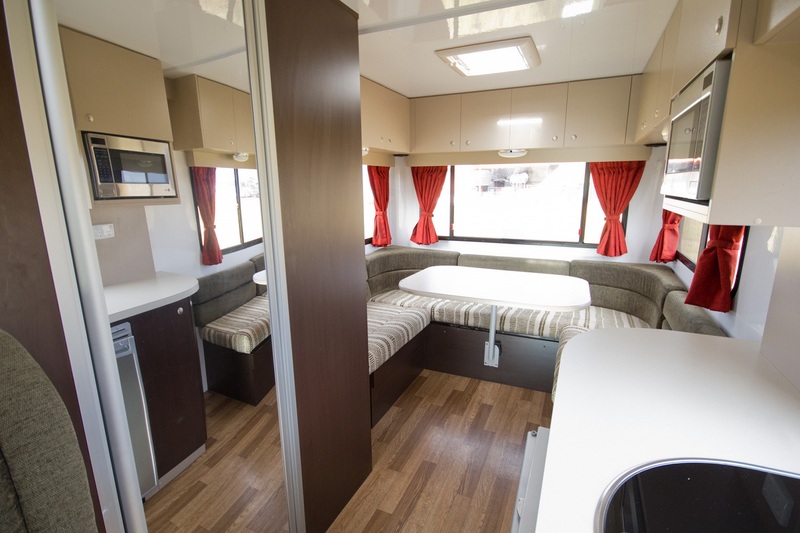 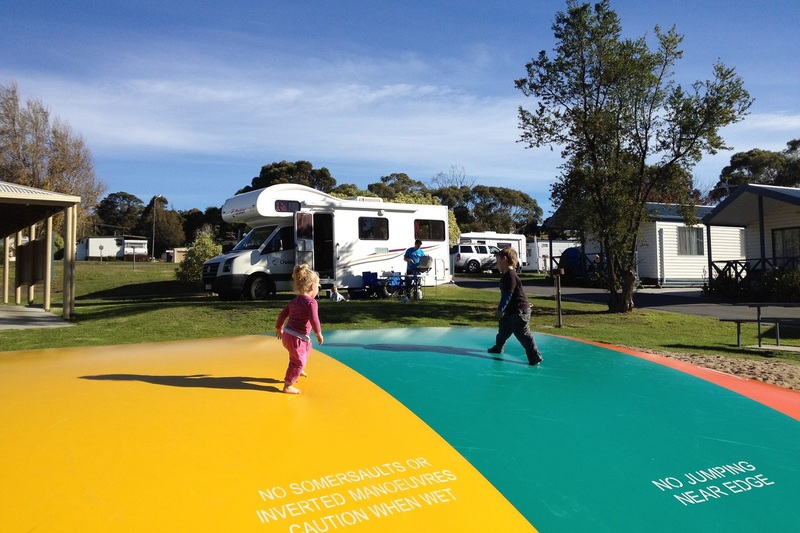 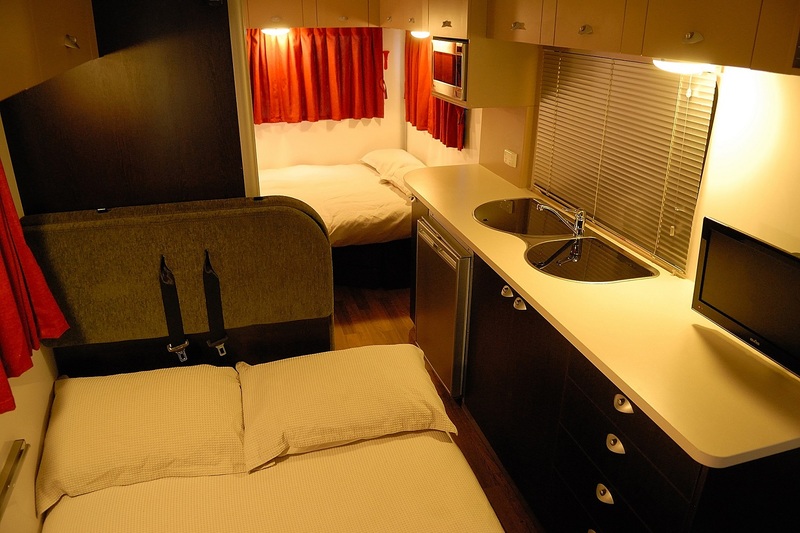 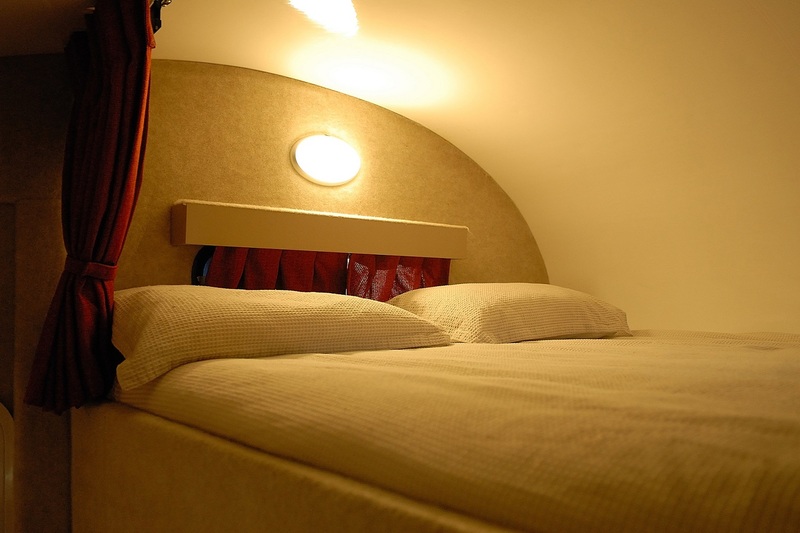 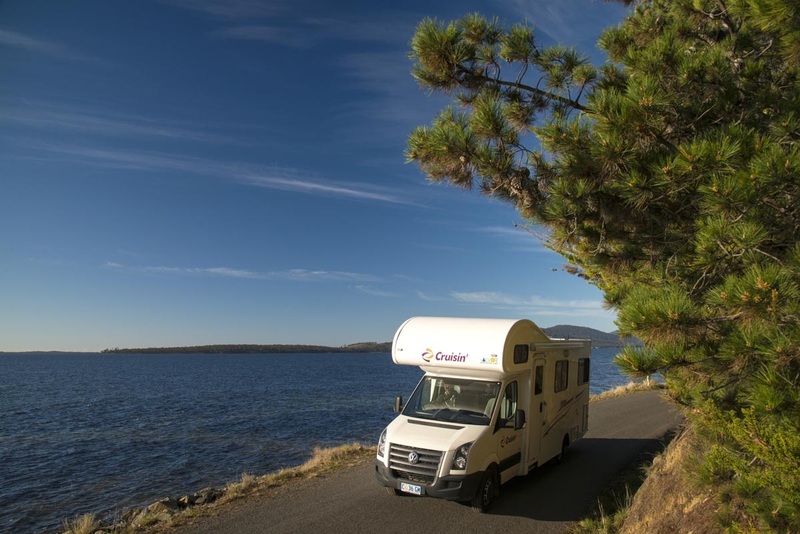 Other facilities provided on-board this innovative motorhome include fly screens, a 100 litre water tank and linen and towels to accommodate the entire family. 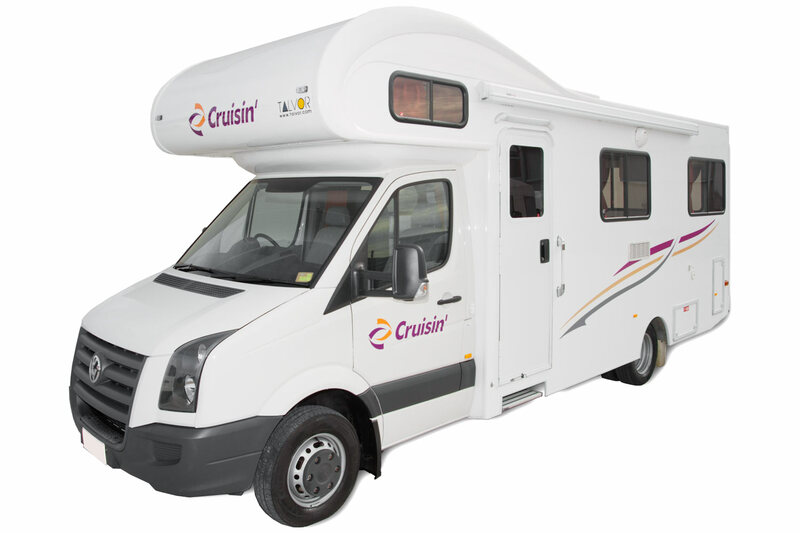 Baby and booster seats, a GPS and a fan heater are all available for you to hire on request for a small fee. 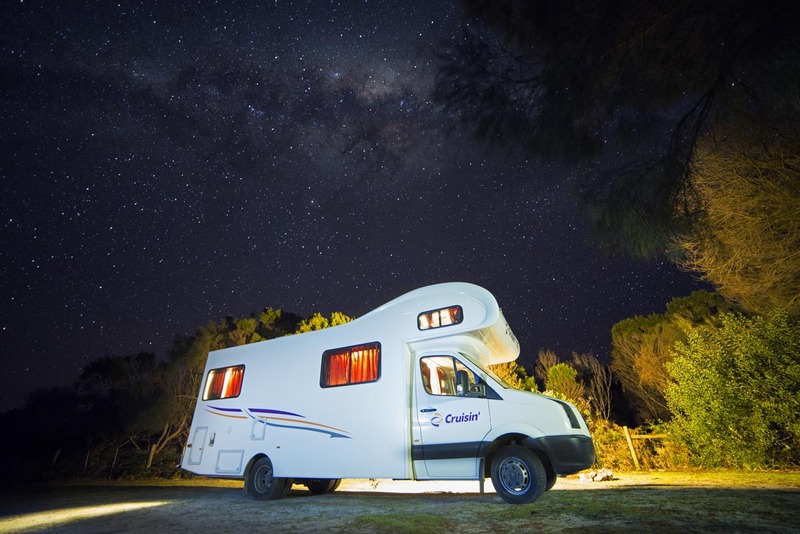 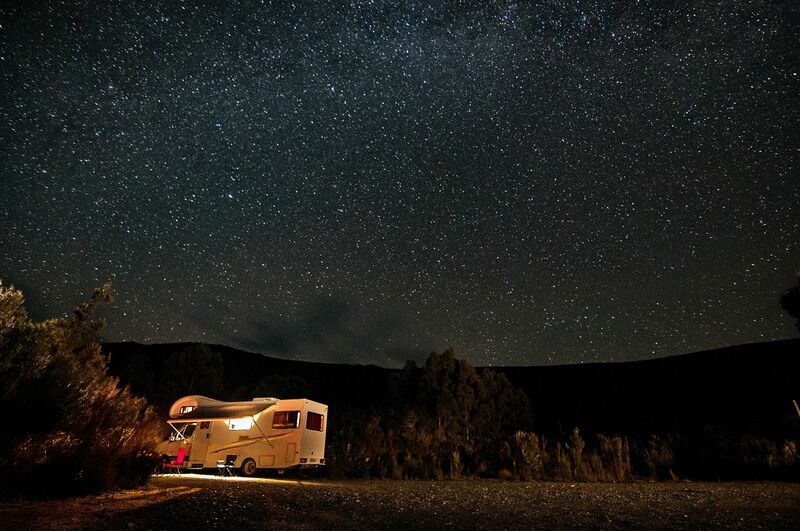 The 6 Berth Discovery campervans are the top of the range when it comes to luxury travel and will more than satisfy your group holiday requirements. 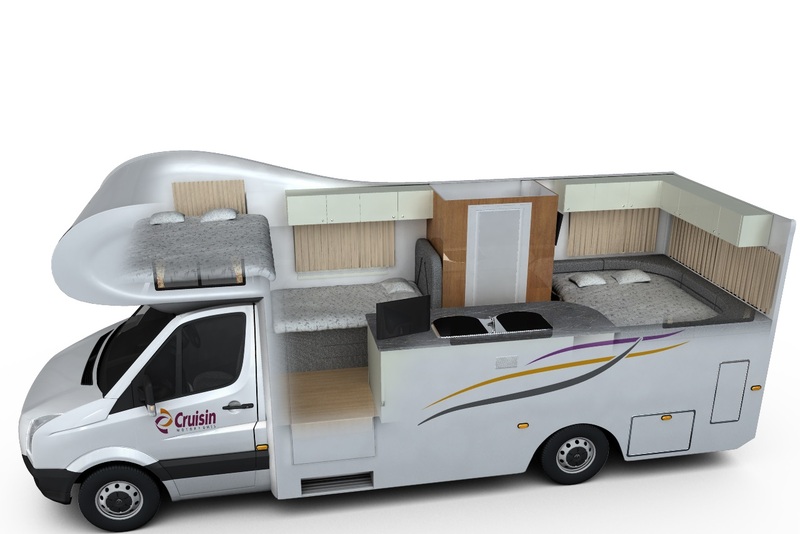 Please be advised that this motorhome has room for two child restraints. 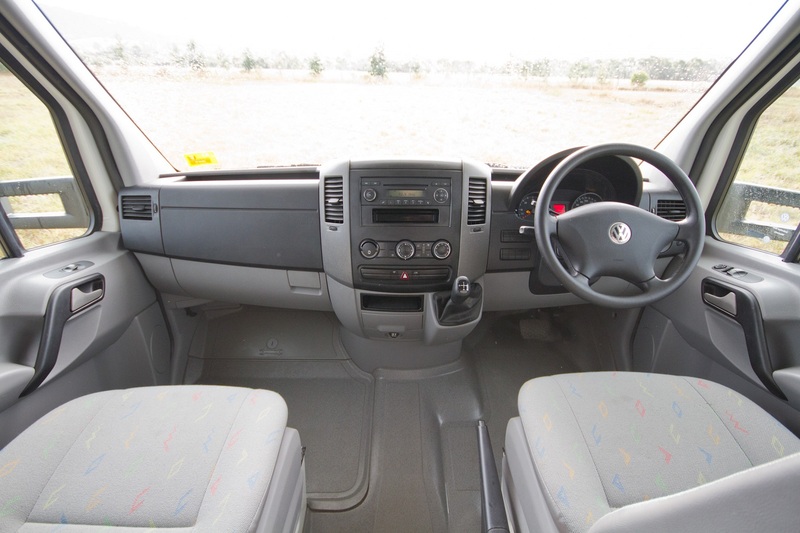 A total of two baby seats (three years and under) can be fitted to the rear forward facing seat with anchor points. 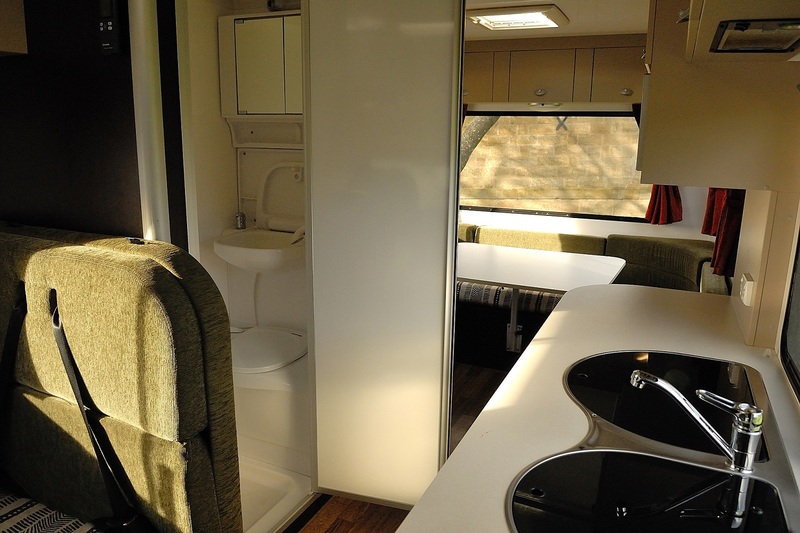 OR the motorhome can be fitted with two booster seats to the rear dinette seat with lap belts.